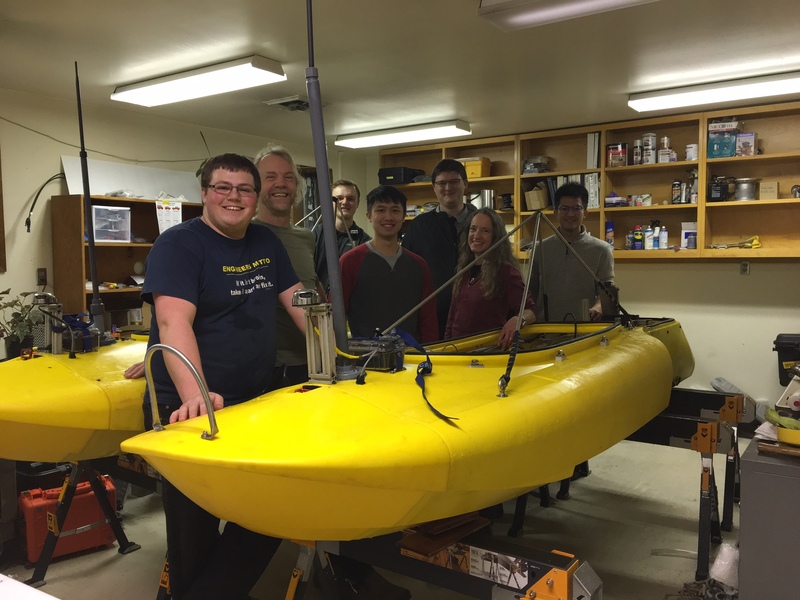 The Robotic Oceanographic Surface Sampling (ROSS), and soon to be Robotic Oceanographic Surface and Environmental sampling (ROSE) project, is a project consisting of a small fleet of robotic kayaks. I work on a small team of undergraduate engineering students developing, fabricating, and testing custom electronics (and for me also some software and firmware) for these unique vessels. Each kayak is equipped with a small gas engine in the rear and then an electronic winch, battery box, electronics box, and acoustic doppler current profiler in the main body. Outside the closed hull is an incredibly precise GPS, first person video transmission box, and marker lights. Also on the outside, at the rear, is a small sensor called a CTD that measures current, temperature, and depth. It is attached through the hull to the electronic reel mentioned before, but not before going through a fishing rod that measures how much tension the sensor is imparting on the winch. Using the winch and fishing rod tension, the kayak can lower the CTD from the surface to the ocean floor, and return it to the surface so it can gather more complete data about the water column where the sensor was lowered. Inside the electronics box is an Intel NUC desktop computer, 3DR pixhawk flight controller (in rover mode), and 4+ custom printed circuit boards designed by the electrical lead, Nick McComb, that all help remotely pilot, control, and monitor this robotics kayak. 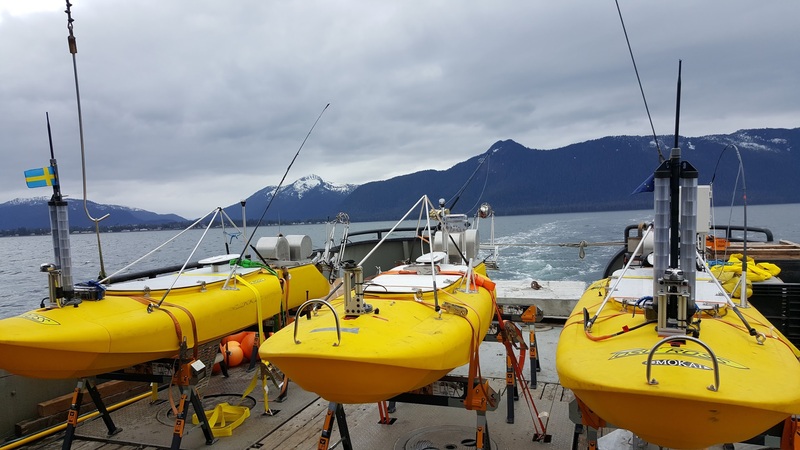 ROSS was designed to allow for the Ocean Mixing Group team to deploy inexpensive (relatively) vessels that could capture data automatically both in open ocean, and in treacherous environments such as up at glacier faces. Since I joined this group in early 2016, I’ve worked on many versions of the kayaks electronics, assembled and tested many PCBs, written embedded firmware, and assisted with some of the higher level software running on the NUC. I’ve also gone on two deployments at sea to gather data with these vessels at the LeConte Glacier in Alaska.